You’ve got a product. You’ve taken product photos and written product descriptions. You’ve set up your online store, populated it with great content and launched it to the world. Now it’s time to sit back and watch the traffic and sales come flooding in, right? Let’s get into the best practices on how you should operate both your Facebook profile and business page to promote your business. Here are a few things that you need to know on how to effectively network and build connections through LinkedIn to find potential customers for your business. The power of video as a sales and marketing outlet is almost indescribable. Follow along on how to make & optimize your YouTube videos. Power tips on how to setup your twitter account right way and how to use it to effectively engage with potential customers for your business. The power of Pinterest lies in its ability to get people to discover amazing images, videos and products. Check some of the winning strategies to market and reach out to potential customers. Let’s discuss how you can benefit from Instagram – a great marketing tool for your business. Let’s go over on how to effectively use Tumblr as marketing tool to attract more potential customers to your business. 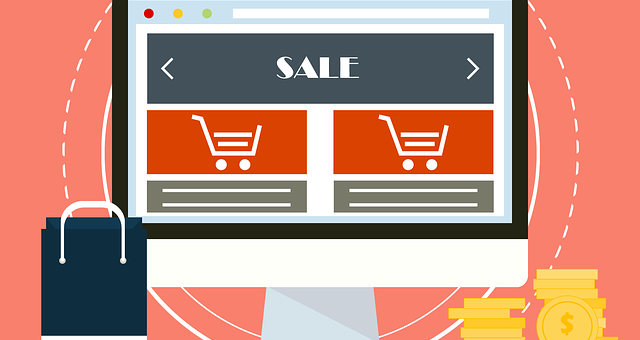 As an online retailer, comparison shopping engines are obvious places to get your products in front of the masses. Google Places is a great thing for business owners, but you have to be very aware and play by their rules. By spending time in your analytics account you can make great gains in terms of how to tweak your website and grow your business. PR stunts are the ancient version of the viral video. They are loads of fun and help bring tons of attention to your brand if executed well. Making your business to stand out from the crowd is one of the best ways to move merchandise. A great way to produce easy and very exceptional blog content to attract more visitors is to interview someone important and well known in your industry. One of the easiest ways to get some internet buzz is to write guest blog posts for various websites that are relevant to your niche. Nothing will get you more creatively in touch with your brand – and nothing will unveil the true voice of your brand more than a great viral video. Starting a successful blog can be the easiest and cheapest way to attract thousands of new customers. Creating controversy on your blog is one way to get your brand to race out in front of the masses. Having a primed YouTube channel can be one of the strongest marketing tools you’ll ever own. Email subscribers are more responsive and have a stronger connection with your business. Learn more on how to effectively build your email list. Learn how to build your Facebook ads the right way. Strategically target customers with corresponding advertisements for a better suited campaign. No other advertising network will give you faster results than AdWords. Check out our guide and get started with your campaign. Banner ads can work magic when it comes to selling products online, it just depends on how creative you are and where you place them. Learn the three types of Twitter advertising promotions you can choose to partake in: Promoted tweets, accounts and trends. Nothing beats speaking to potential customers one-on-one. Get you hands dirty and learn how to capture customers at a Flea or Farmer’s Market. In a nutshell, the bigger your professional network, the more trusted referrals you’ll get. Let’s get into the nitty-gritty of how to effectively network in the real world. Meetup.com is great for finding local people who are also running online businesses. Here are things you can do to make the most out of your networking buddies. Start moving up the supply chain business and start to distribute your own products to other retailers and do wholesaling. Think of your sales team as miniature stores that act independently and each bring in their own revenue. So how do you build and design a sales team to do this? Tips and techniques on how to effectively do door to door sales without actually selling. If there has ever been a greater time for print advertising, it’s now. In other words, it’s a print advertiser’s market. Believe it or not, in many circumstances you can practically call the shots when it comes to negotiating rates. How to pick and sponsor events with attendees that will make loyal customers and raging evangelists. Even with the popularity of internet marketing, flyer distribution is still an effective way to make sales. Not only can outdoor billboard advertising can persuade the public that your brand is large and well established, it can also target large amounts of potential customers on a daily basis. Participating in online forums can be an amazing way to get your business in front of the right audience. For someone starting out a business Craigslist can be a godsend. It’s really the closest thing to free advertising there is. Coupon codes can be a pretty handy tool to attract new and repeat customers. However, it’s important to make sure discounting fits into your overall brand strategy. Clean and consistent branding as well as building your business into a well-known business is the ultimate way to build trust with new customers. The key to real growth will be the day you can start handing off the day-to-day operations of your business to other people. Here we’re going to give you a little advice on how to make managing multiple tactics easier for you to manage. Kit is your virtual assistant, helping you manage marketing campaigns for your ecommerce business.